Spacious home with formal living and dining rooms separate from kitchen with large breakfast nook area, both open to the family room. Kitchen features bar top and island. Owners Suite has double doors and a large walk in closet. Master bathroom has double vanities plus a separate garden tub & large shower. There are 3 additional bedrooms upstairs, one with a HUGE walk in closet. The 5th bedroom and full bath is downstairs and perfect for In-laws or Guests. Live Oak Preserve is known for its beautiful and plentiful amenities including a HUGE Resort style pool, hot tub, splash area for the youngsters. The clubhouse has a state of the art exercise room, kitchen facilities, billiards room and separate meeting areas. Amenities include lighted tennis courts, volleyball courts. The expanded playground was just updated. Golf lovers have 4 driving cages and 1000sf putting green. 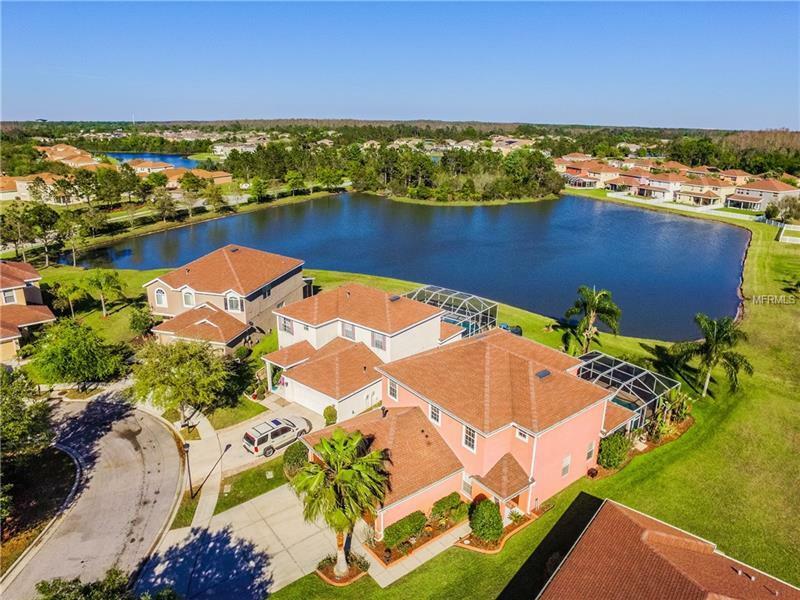 The neighborhood's ideal location off Bruce B. Downs, less thana mile south of SR 56 offers easy access to I-75, I-275, and I-4 as well as convenience to new shopping and restaurants.